Sarah Nader- snader@shawmedia.com Woodstock North graduate Adriana Diaz fixes her cap before Woodstock North's commencement ceremony Saturday, May 17, 2014 in Woodstock. Diaz plans to study at MCC in the fall. 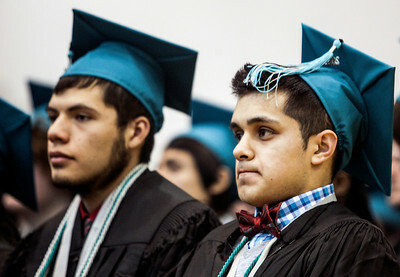 Sarah Nader- snader@shawmedia.com Leonel Ortiz Jr. waits for his turn during the Woodstock North's commencement ceremony Saturday, May 17, 2014 in Woodstock. 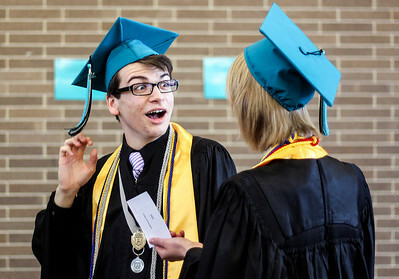 Sarah Nader- snader@shawmedia.com Woodstock North graduates Jack Versten and Anne Vogrine wait in line before Woodstock North's commencement ceremony Saturday, May 17, 2014 in Woodstock. Versten plans to attend MCC in the fall and Vogrine plans to study nursing at the University of Illinois at Chicago. 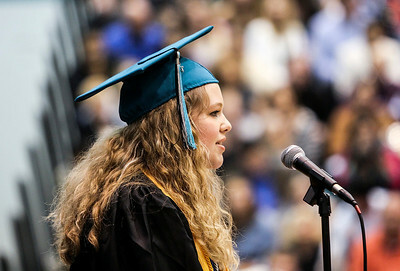 Sarah Nader- snader@shawmedia.com Woodstock North Valedictorian Abigail Kreznor speaks during Woodstock North's commencement ceremony Saturday, May 17, 2014 in Woodstock. 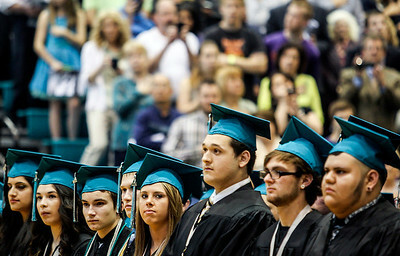 Sarah Nader- snader@shawmedia.com Woodstock North graduates listen to the speakers during Woodstock North's commencement ceremony Saturday, May 17, 2014 in Woodstock. 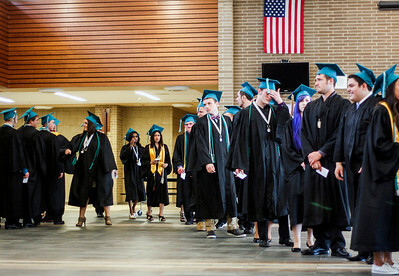 Sarah Nader- snader@shawmedia.com Woodstock North graduates line up before Woodstock North's commencement ceremony Saturday, May 17, 2014 in Woodstock. 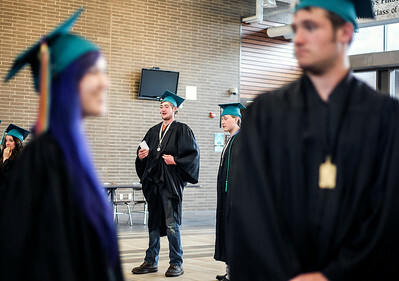 Sarah Nader- snader@shawmedia.com Woodstock North graduate Brandon Warren (center) waits in line before Woodstock North's commencement ceremony Saturday, May 17, 2014 in Woodstock. Warren plans to enter the workforce after high school. 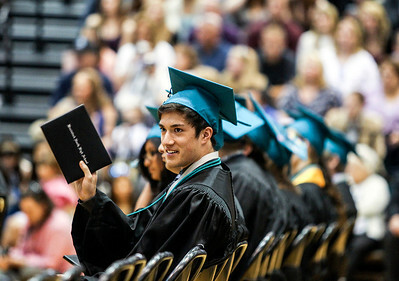 Sarah Nader- snader@shawmedia.com Woodstock North graduate Drake Creighton receives his diploma during Woodstock North's commencement ceremony Saturday, May 17, 2014 in Woodstock. Warren plans to enter the workforce after high school. 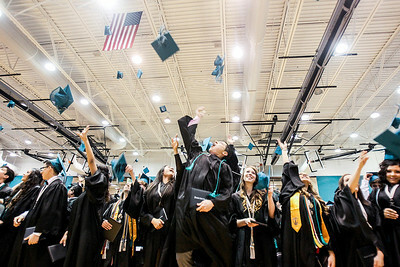 Sarah Nader- snader@shawmedia.com Woodstock North graduates throw their caps in the air during Woodstock North's commencement ceremony Saturday, May 17, 2014 in Woodstock. 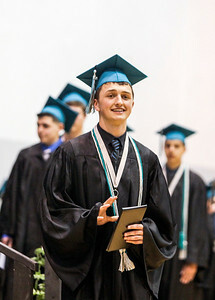 Sarah Nader- snader@shawmedia.com Woodstock North graduate Kyle Bacon shows off his diploma during Woodstock North's commencement ceremony Saturday, May 17, 2014 in Woodstock. Warren plans to enter the workforce after high school. Woodstock North graduate Adriana Diaz fixes her cap before Woodstock North's commencement ceremony Saturday, May 17, 2014 in Woodstock. Diaz plans to study at MCC in the fall.